Keeping the White House looking white! D/2 has been called to duty, keeping one of America's most iconic buildings free of dirt and stains. 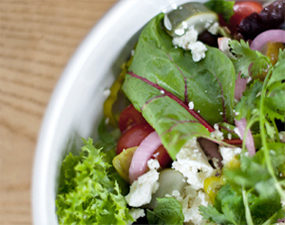 Delicious Fresh Salads, So Many Options! Delicately served with special sauce. Chopped lettuce tossed with black bean corn salsa, roasted red and green peppers and onions.